Nokia is apparently planning to get into the wearables business. The company has amended its Articles of Association to include "consumer wearables." This happens to dovetail with recent rumors that call for Nokia to be prepping a smart wearable device that focuses on human health and well-being. Two years ago, Nokia filed a patent for a smart wearable device that looked more like a bracelet than a watch, with multiple screens each dedicated to a different function. Opening each screen is as simple as pointing it toward your eyes. Like the Nokia Morph flexible phone concept, the bracelet might be something that is not quite ready for prime time. Job openings posted by the company have indicated that a Nokia wearable would collect quite a bit of data. This raw information would be run through algorithms to help users learn more about their overall health. That certainly sounds like a feature that would be found on a smartwatch or fitness tracker. 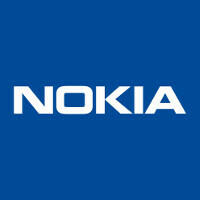 With all of the competition in the industry, can Nokia come up with something proprietary to spur sales? That is a question that we won't be able to answer until the company officially introduces a wearable device. Nokia fans are hoping that the change in the corporation papers is the beginning of a journey that leads to the production of a Nokia smartwatch or bracelet. Not a good enough news to please JohnMicrosoftMobiles. It is too rarely to see Sony fanboys trolling. Sony might exit phone business very soon and for good, but I really don't wish that to happen. We need those inveterate companies to stay like Sony, HTC, and BlackBerry. It is a great thing for us (users) in first place. This just great news to me. So stop trolling and get a life dude. I'm not against Nokia, so no need for the irrelevant comment. Well.. actually sony opened a new factory not that long ago so it doesn't seem very likely the will quit. It wasn't trolling, the comment was directed to you - at you. Am disappointed in you, you're never the one to troll first. Come on Nokia, everyone is waiting for your great smartphone next year. So then what was the deal with ozo? It's been a while since we heard anything about it and it was a consumer product, dunno why no amendments were made.